The restaurant complex is located nearby the city center (7 minutes’ drive), between two picturesque lakes. The coolness of the lakes is inviting in the summer, and they create the unique atmosphere all year round. Having entered the area around the restaurant, you turn out to appear in the world of peace and nature where one can easily relax from everyday life concerns. There’s a place to chat and for being alone, as restaurant consists of the main venue, a cabin and a barrel house with numerous open air terraces, alcoves, and a playgrounds for kids. The restaurant combines the simplicity of hutsul unique everyday lifestyle and modern service for demanding clients. Experienced chefs will surprise you with delicious meals of Galician, Ukrainian and European cuisine. Make sure that you have tried out the specialty of the house – grilled meat and the dishes cooked in our own smokehouse. We have implemented the permanent loyalty programs and promotions. Every celebration held is a special event and we have special approach towards each. 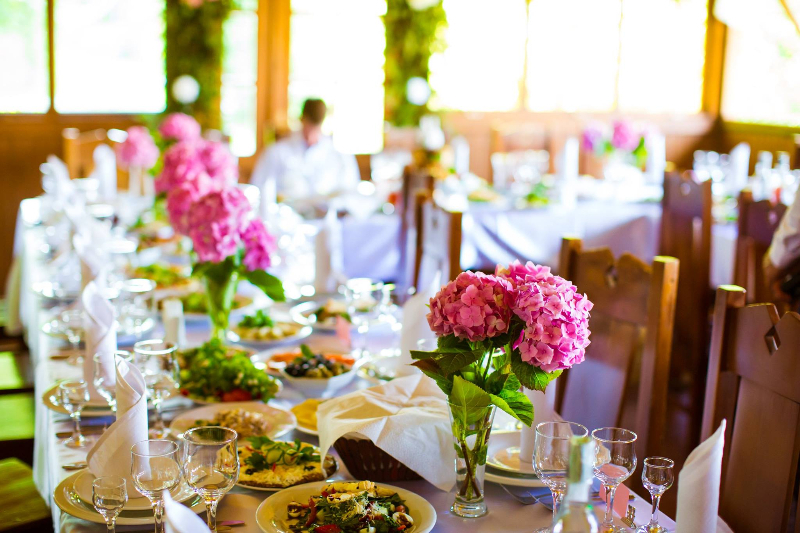 We are glad to help with arranging an ordinary banquet as well as a unique kind of celebration. We also arrange buffets, dinners for tourist groups, barbecues, and kids’ celebrations. 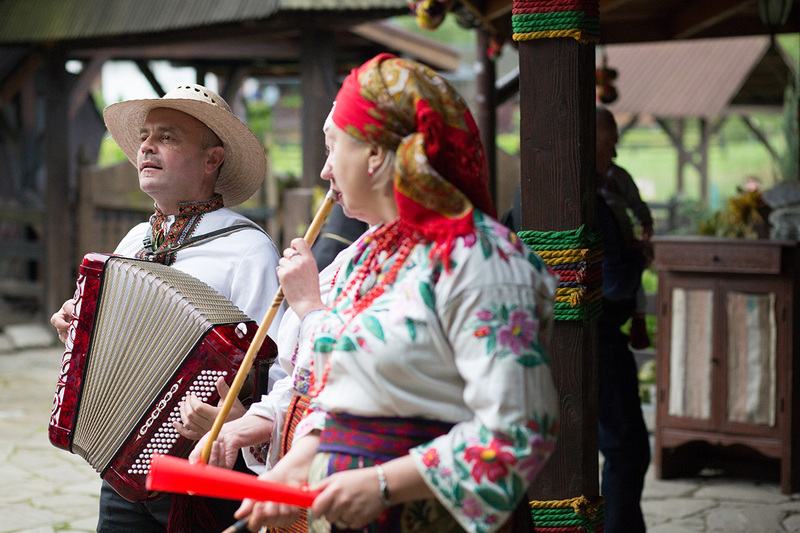 You can have a wedding or traditional Ukrainian style photo shoot set up at our venue. We also offer the place for conferences or presentations hosting. Our restaurant has become a favorite place for arranging wedding ceremonies. 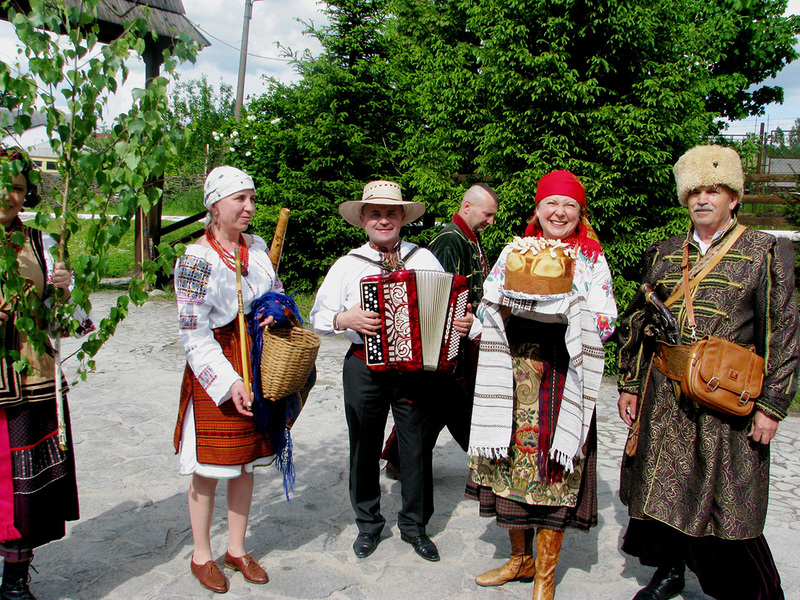 It’s been a great custom of ours to arrange traditional parties on Ivana Kupala’s Day, St. Andrew’s Day, Christmas Day, Twelfth Day, Easter, and New Year’s Celebrations. «Our team perceives the restaurant from personal, intimate perspective. Those are professionals who do love this controversial, crazy, hard work demanding, but yet respectful business». «Cooking is a great art. Meals are to be not only aesthetically perfect but also healthy. I hate to compromise when it comes to kitchen: only finest products, and their proper cooking are the credo of the restaurant business». With us you can make every your dream and idea come true.